Datapath x4-1U Rack Mountable Display Wall Controller is ideal to construct multi screen solutions for both digital signage applications, small video walls and for any creative multi display video setup. 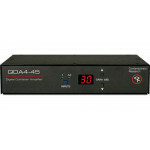 Datapath x4-1U is a stand alone display wall controller that accepts a standard single or Dual-Link DVI input and can flexibly display this across four output monitors. Datapath x4-1U has been developed with an "Output Framelock" button situated on the front of the unit. This button enables the user to set up the unit with all four outputs set to exactly the same timings, quickly and everytime. this will allow the 4 monitors connected to be synchronised to provide the user with smooth clear video. At high resolution, DVI signals cannot normally be guaranteed beyond 5m cables, due to the nature of the signal losses inherent in the DVI cables and connectors. 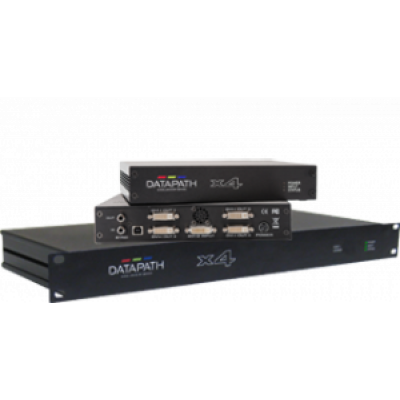 Datapath have added active equalization hardware on the input to the x4, which is able to compensate for these losses and support cable lengths of up to 20m, even at full dual-link resolutions (330Mhz pixel clocks). Lower resolutions will allow even longer cable lengths. 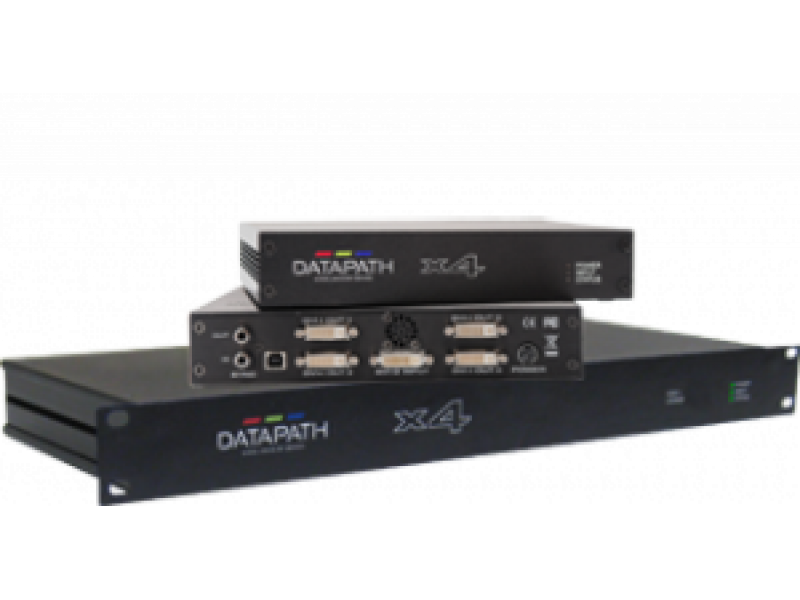 Additionally, Datapath x4 control application allows user configuration of the equalization levels to guarantee that any combination of input cable length and cable type can be adjusted for optimum quality.